Outdoor spaces are ideal for kids, pets, friendly gatherings, barbecues and nice weather, and a yard that offers a winning combination of functionality and privacy can give your home’s resale value a big boost. To that end, decks and fences are both among the most popular upgrades among Calgary-area homeowners, and can really boost your backyard enjoyment. Lumber. Treated lumber is plentiful, easy to procure and very affordable. It also looks great, and can be stained in dozens of different ways. Lumber does require a little maintenance, though; you’ll have to do a seasonal power-wash, and apply sealants and protective coatings regularly to keep it looking its best. Natural hardwoods. Some people prefer a premium product, and natural hardwoods like cedar and redwood deliver in a big way. Authentic hardwoods are a little more costly, especially if you opt for top-quality “heartwood” drawn from the central core of the tree. However, they’re well worth the added investment so long as they’re properly maintained. Tropical hardwoods. Looking for something a little more exotic? Tropical hardwood products like cumaru, ipe, mahogany and tigerwood are great options. These highly dense woods offer excellent durability; the down side is that they aren’t compatible with most generic staining products, so you’ll have to look for a special formulation. Aluminum. While it’s not the most commonly used deck material, aluminum offers an outstanding combination of affordability, durability and long life. It’s well worth considering if you’re looking to get the biggest bang for your buck. Once you’ve chosen a deck material, you’re ready to move on and consider the style and layout. Many people prefer the simplicity of a single platform deck, but if you’re looking to do something different, or if your property characteristics demand a unique approach, consider alternatives like multi-story and raised decks. A great addition to multi-level homes, multi-story decks feature various levels connected by ramps or stairways. They’re ideal for increasing the usability of your outdoor space, since they essentially double up (or triple up) your deck’s surface area. Raised decks are perfect for homes with steep backyard slopes and a drop-off between the outdoor ground level and the indoor floor level. You’ll need to build foundations and include additional safety features into your plan, but raised decks look great and function even better. Fences are simple upgrades that are a major boon to homeowners seeking more privacy. They’re also the go-to tool for delineating property divisions, helping neighbours coexist more peacefully. The Mirage Landscaping team will ensure your new fence meets existing building regulations in Calgary, and we always use proven best practices to ensure your new fence is as sturdy and long-lasting as it is beautiful. Fence designs can be grouped in two broad categories: open designs that permit visibility, and closed designs that enhance privacy. “Good neighbour” fences, which are identical on both sides, are excellent options for building good will while increasing security for all parties. 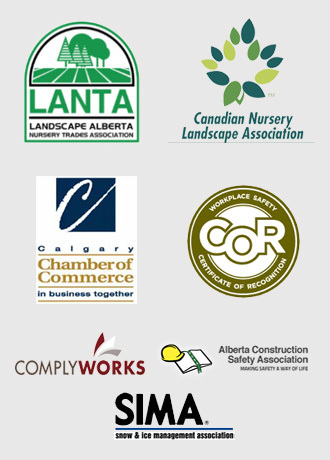 You should check with the City of Calgary before beginning any outdoor project that requires digging. Not only do you risk being on the hook for any damages you cause if you hit a gas or water line, but you can also put yourself and your neighbours at risk. So, please: remember to call before you dig! Mirage Landscaping is a local, family-owned company that is pleased to offer great rates on autumn landscaping and construction services. It’s definitely not too late to take advantage of our reliable, friendly, and highly skilled team members to bring your outdoor construction project to a timely and successful conclusion. You’ll be surprised just how little it costs to enjoy a top-quality deck or the security and privacy benefits of a new fence. 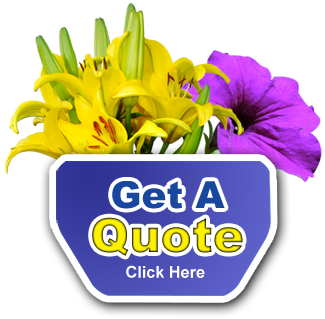 Get started today by visiting Mirage Landscaping for a fast, free project quote.